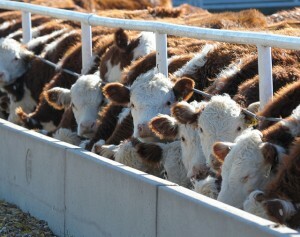 The use of antibiotics in feed for food producing animals has come under scrutiny over the past few years. The growing issues with bacteria developing resistance to medically important antibiotics in human medicine have been a major driver of these changes. The FDA has put the use of medically important antibiotics under the guidance of veterinarians. The Veterinary Feed Directive (VFD) is the way in which veterinarians will work with producers to ensure the judicious use of these antibiotics with FDA oversight. Many of the antimicrobial medications affected are currently sold over the counter, but will soon be under VFD status. As of January 1, 2017, the new VFD rules will be in full effect. Medically important antibiotics will no longer be labelled or be used for growth promotion practices. Many currently over the counter antibiotics will be changed to VFD status. Use of these antimicrobials by producers must be authorized by their veterinarian in the form of a VFD.